Home › What is a GI Pathologist? Gastrointestinal pathology (including liver, gallbladder and pancreas) is a recognized sub-specialty discipline of surgical pathology. Recognition of a sub-specialty is generally related to dedicated fellowship training offered within the subspecialty or, alternatively, to surgical pathologists with a special interest and extensive experience in gastrointestinal pathology. There are approximately 30 gastrointestinal pathology fellowships offered within the United States (predominantly academic, and more recently three “corporate” fellowships). This translates to fewer than 40 fellowship trained gastrointestinal pathologists being trained annually in the United States each year. education of general pathologists and clinical colleagues. During the course of a one year gastrointestinal pathology fellowship, the GI-liver pathology fellow will review between 8,000 and 15,000 gastrointestinal and liver biopsy and surgical specimens with all clinical history, laboratory data and frequently, knowledge of response to treatment. This volume of cases is similar to approximately five years of case experience for general surgical pathologists in private practice. 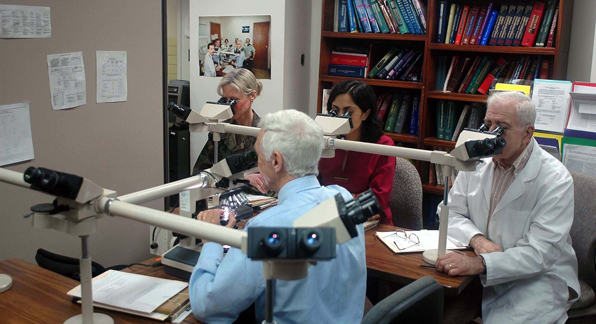 Board certification in the United States requires approval by the certifying body, the American Board of Pathology. There has been considerable debate among academic and private practice gastrointestinal pathologists regarding the necessity, advantages and disadvantages of Board Certification in this subspecialty. The debate was last formally approached in 2001, during Dr. Joel K. Greenson’s tenure as President of the Rodger C. Haggitt Gastrointestinal Pathology Society. The decision to seek Board Certification was declined by the membership of the Society.